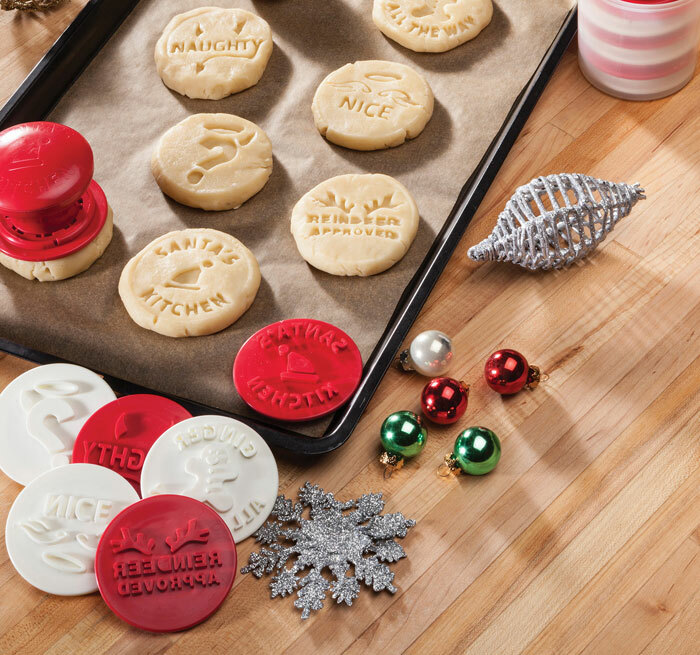 Set of 6 fun-loving holiday themed cookie stamps. 6 interchangeable stamps work with 1 single handle. 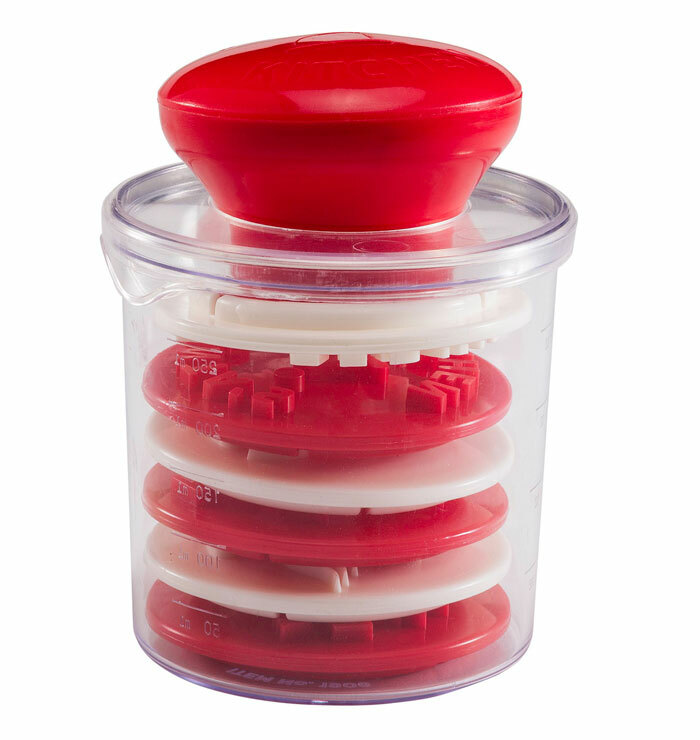 Everything is stored in a container that doubles as a measuring cup. Stamp designs include: Naughty, Nice, "?" 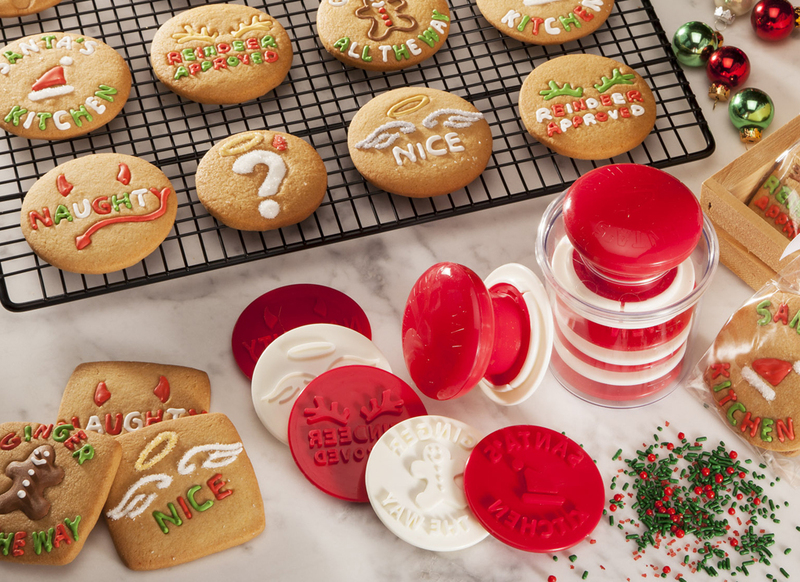 , Reindeer Approved, Ginger All the Way, and Santa's Kitchen. Material: polypropylene and SAN. BPA free.